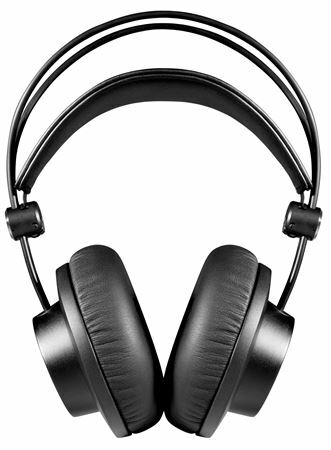 Order your AKG K245 Studio On-Ear Foldable Open Back Professional Headphones from AMS and enjoy 0% Interest Payment Plans, Free Shipping, Free Extended Warranty & 45 Day Money Back Guarantee. The AKG K245 headphones features high-quality, durable parts working together to provide amazing sonic performance matched with optimal fit and comfort. The over-ear, open-back AKG K245 feature a transparent, yet spacious sound, and you’ll find them perfect for mixing and editing on the go. You can't take the studio out of these headphones. The AKG Foldable Studio Headphones Line is built on a legacy of 70 years of quality and features our latest transducer and acoustic technologies. As a result, the family delivers unparalleled audio performance for musicians, engineers, and producers who need superior accuracy from reliable headphones that stand up to today's mobile lifestyle. Just pick them up and you’ll immediately find the roadworthy design takes away the worry of damage while traveling. 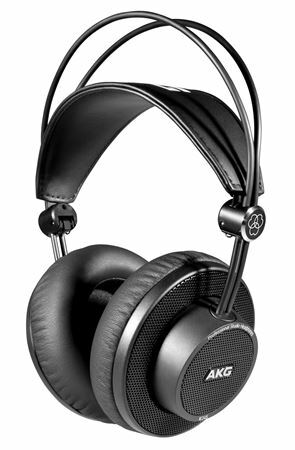 Try them on and you’ll realize they still provide the superior studio-quality sound you expect from AKG. And you’ll never get tired of wearing AKG Foldable Studio Headphones because their ergonomic design provides a comfortable fit—even during long sessions. As the gold standard of professional-quality sound with over one million studio headphones sold, AKG knows what it takes to build world-class headphones.